The Ridge Meadows Child Development Centre (RMCDC) provides early intervention services to children between 0-5 years old in speech therapy, occupational therapy, and physiotherapy. 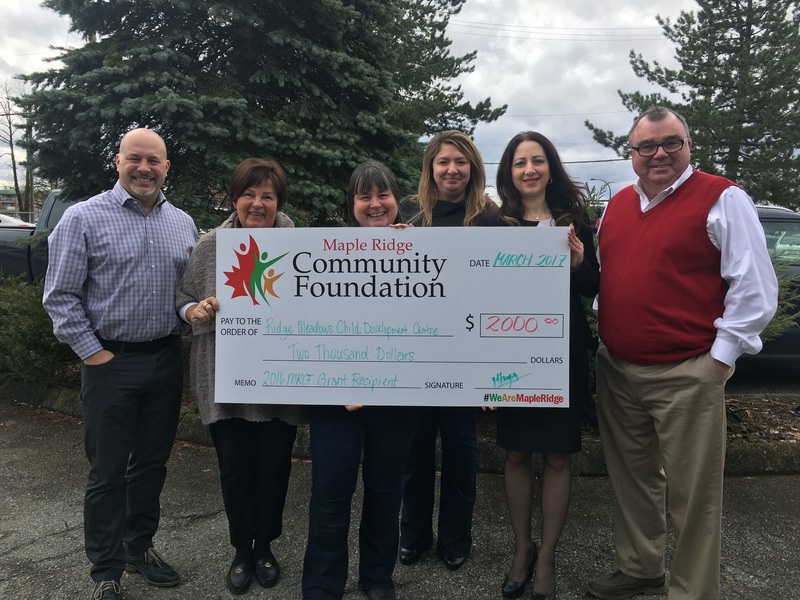 Recently, the Maple Ridge Community Foundation provided RMCDC with a grant for $2000 towards purchasing adapted equipment and assessment tools. The Centre focuses on working with families to highlight children’s areas of strengths, and to assist them to participate in the community. With early interventions for children experiencing delays, this program is able to strengthen the community and show support to families in need. The Ridge Meadows Child Development Centre has proven their program allows children to be more productive as adults, to prevent or lessen the anxiety for the child and family, as well reducing the burden on the school system by providing support to the child. The Ridge Meadows Child Development Centre has recently added a mascot to help children with self-regulation, sharing, patience, balance and coordination. Breeze is a miniature horse that is only 30 inches tall, has one foot turned in and has her challenges. 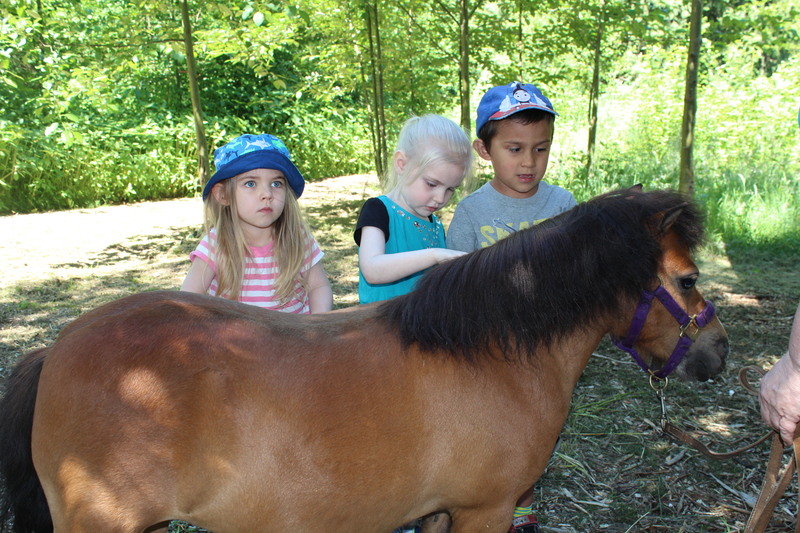 Breeze comes to see the children at the Centre and at the North Fraser Therapeutic Riding Association. Breeze acts as a mirror to the children and is a strong visual on how they’re acting when they’re excited or calm. Families with young children experiencing delays are encouraged to learn more about the centre by securing a referral by their doctor, someone from the school system, or a friend already enrolled in the Centre. Learn more about this important community resource at www.rmcdc.com.